Bitcoin sank as much as 21 percent on Friday, extending its loss from its intraday high this month toward 40 percent, as the crypto-world was swamped by a wave of selling, according to Bloomberg. The digital currency dropped to as low as $12,191.80 before trading at $12,975.50 as of 3:47 p.m. in Hong Kong. Bitcoin, which fell as much as 38 percent from its peak of $19,511, is still up more than 1,100 percent this year. Other cryptocurrencies also plunged, with bitcoin cash crashing 38 percent and ethereum losing 26 percent over the past 24 hours, according to coinmarketcap.com, as reported by Bloomberg. Investors are having a "reality check," said Stephen Innes, head of trading for Asia Pacific at Oanda Corp. "At the heart of the matter was a frenzied demand for coins with limited supply has now led to unsophisticated investors holding the bag at the top." The plunge comes amid growing signs of mania for anything cryptocurrency related. Read alsoBloomberg: Bitcoin tumbles from record in biggest slump since futuresLong Island Iced Tea Corp. shares rose as much as 289 percent after the unprofitable Hicksville, New York-based company rebranded itself Long Blockchain Corp. Bank of Japan Governor Haruhiko Kuroda said on Thursday bitcoin isn't functioning like a normal means of payment and is being used for speculation. 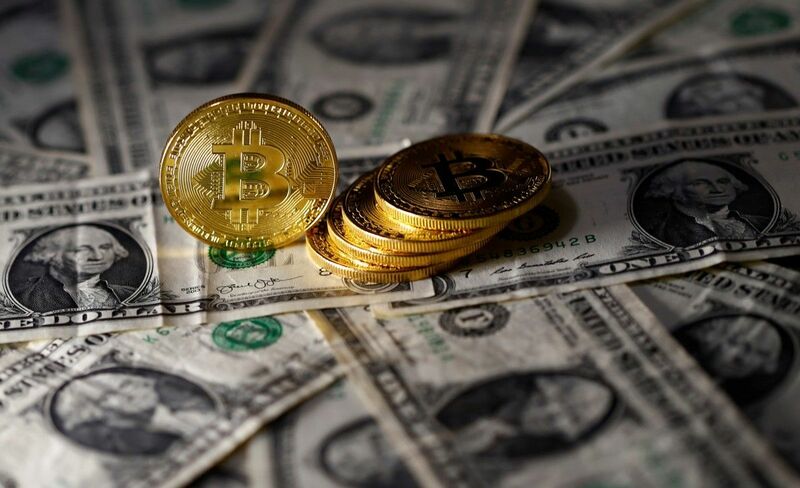 Bitcoin also fell as concern grew that an offshoot could become a stronger rival to the more well-known cryptocurrency. Bitcoin cash, which emerged earlier this year amid a split between factions over proposed software upgrades, was added to Coinbase Inc.'s offerings this week. Still, cryptocurrencies are attracting established players. Goldman Sachs Group Inc. is setting up a trading desk to make markets in digital currencies such as bitcoin, according to people with knowledge of the strategy. The bank aims to get the business running by the end of June, if not earlier, two of the people said.